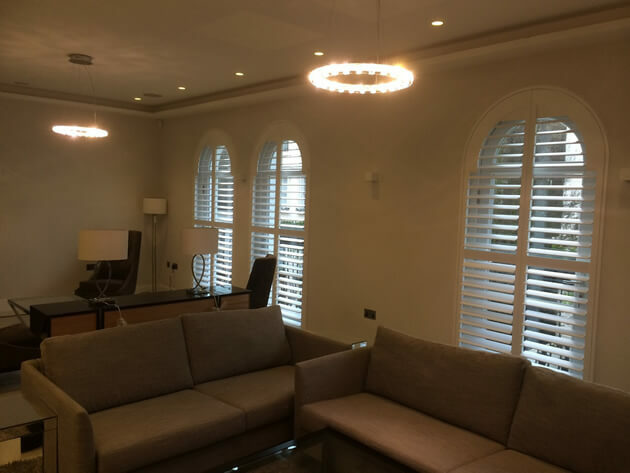 We were recently asked to fit some of our bespoke shutters to a property in West London. 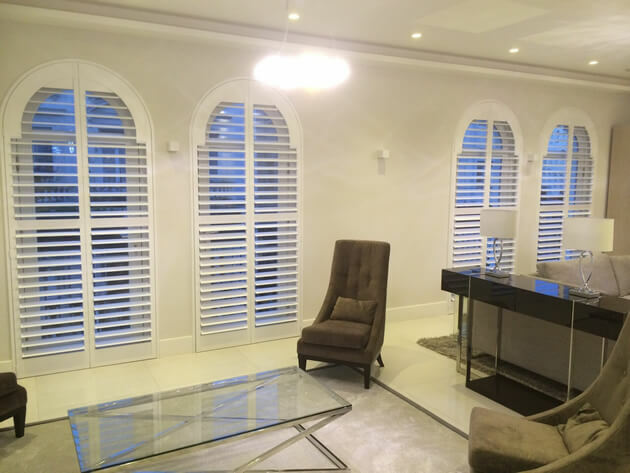 Because of the size and shape of the windows we were required to custom make some made to measure arch shaped shutters. 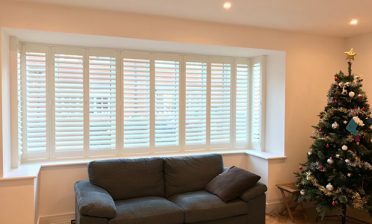 The shutters were fitted with a mid-rail for stability and strength due to the height of the shutters. This also allows the customer to adjust the louvres on the top and bottom section independently of one another. 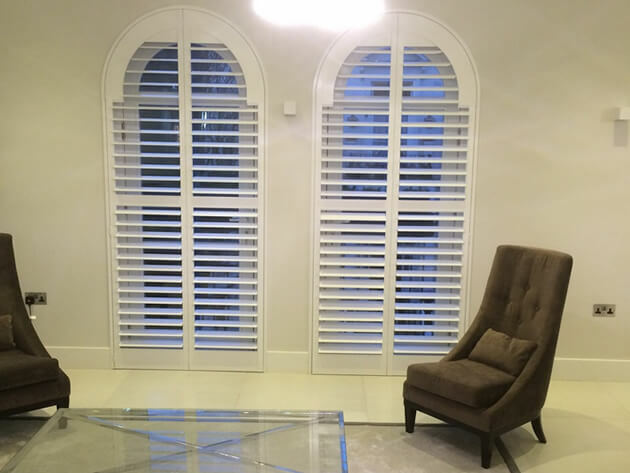 The shutters feature 89mm louvres which look great on shutters of this size. We also used a silent tilt rod system which allows for the shutters to be operated without a visual tilt rod, giving a minimal clean look throughout the panels. They were finished in Pure White with matching hinges which look fantastic with the existing room decor. 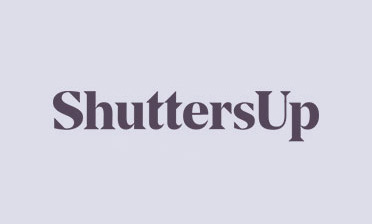 The shutters are from our Bali Range which are lightweight yet still very durable and rigid!